It seems like every social studies teacher I talk to asks about reading and writing strategies. Everyone is freaking about Common Core ELA literacy skills for history / government. And I suppose that’s a good thing. Good social studies instruction should always include reading and writing activities. A Graphic Note is a lot like a Thought Bubble but takes it a bit further. So you can use it as a hook activity or even as a type of assessment. 1. Start by finding a photo or painting depicting an event, idea or group of people that helps introduce your content. I call this photo the visual anchor – it’s the one piece of evidence that the instruction revolves around. 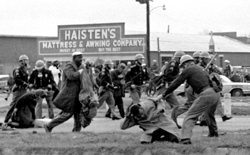 In this example, I used a photo from Bloody Sunday in Selma, Alabama as my visual anchor. 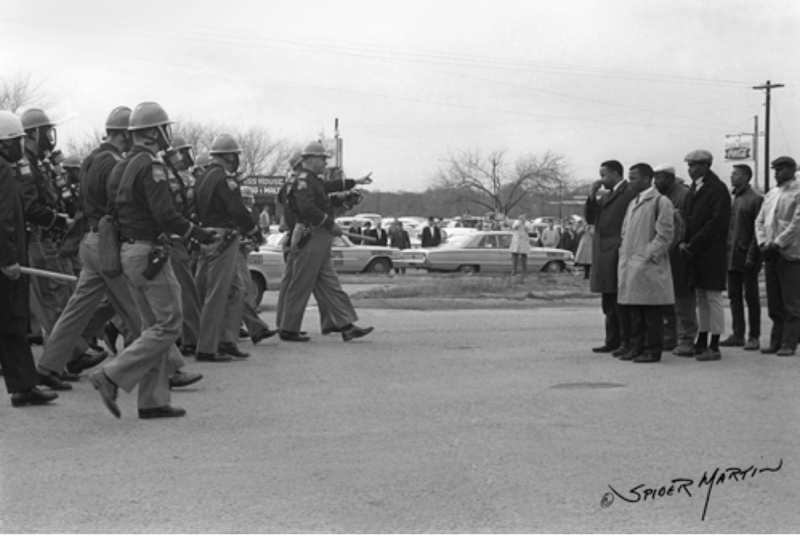 Confrontation at the Pettus Bridge, Civil Rights Voting March in Selma, Alabama, March 7, 1962. This image shows . . .
3. Have students share their completed sentences with each other. Then, working in small groups, have them predict what they think will happen next. Share out whole group. Your students will want to know the answer – what happened next? 5. 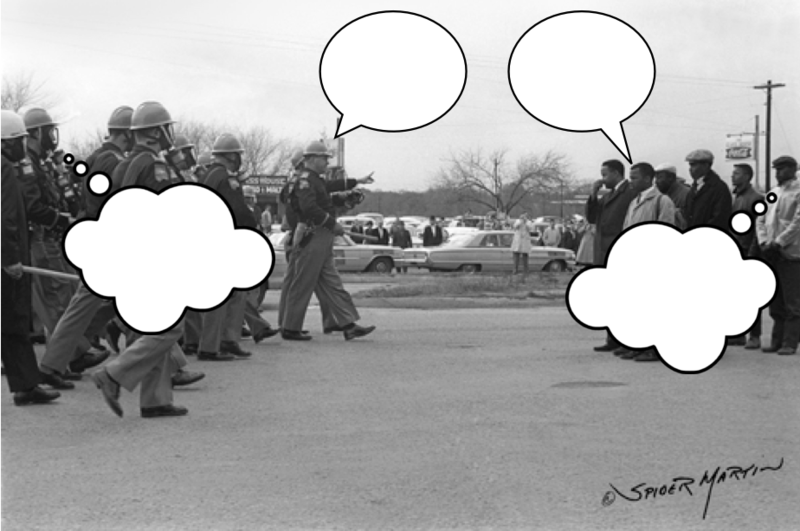 Using photo editing software such as Comic Life or a mobile app like Explain Everything or Notability, students add speech and thought bubbles to a variety of the people in the painting. The text in the bubbles should highlight factual as well as inferred information. I used Keynote and then simply took a screenshot of the finished image. Depending on your image, you could add bubbles to all of sorts of things including animals and objects. A connection between then and now would be . . .